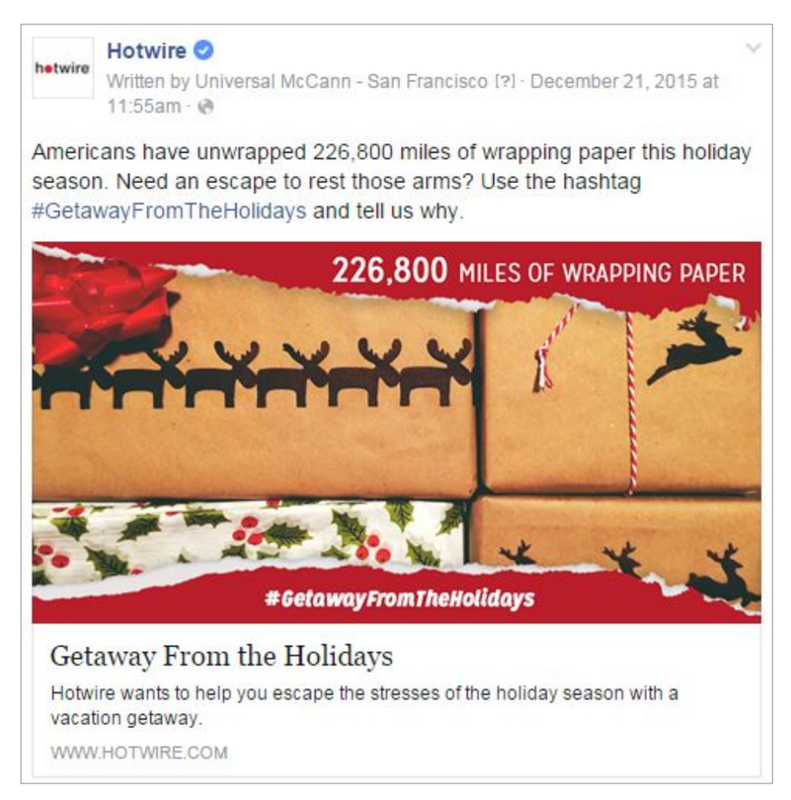 THE IDEA: Over 70% of Americans are extra-stressed around the holiday season. 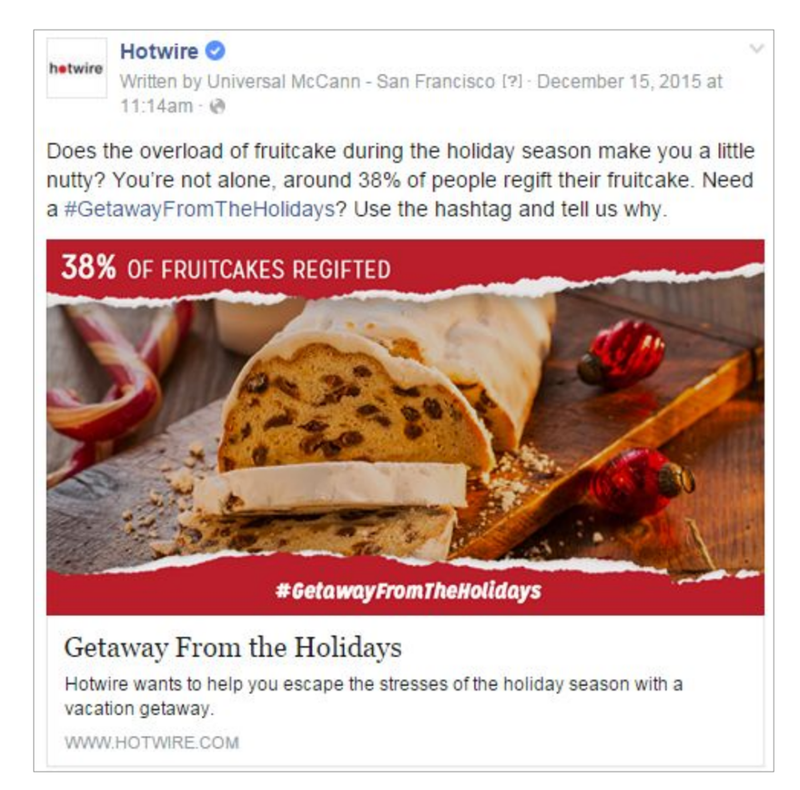 With decorating, travel, family, and all the other things that come with celebrating the holidays, most people need a relaxing vacation in order to recover. 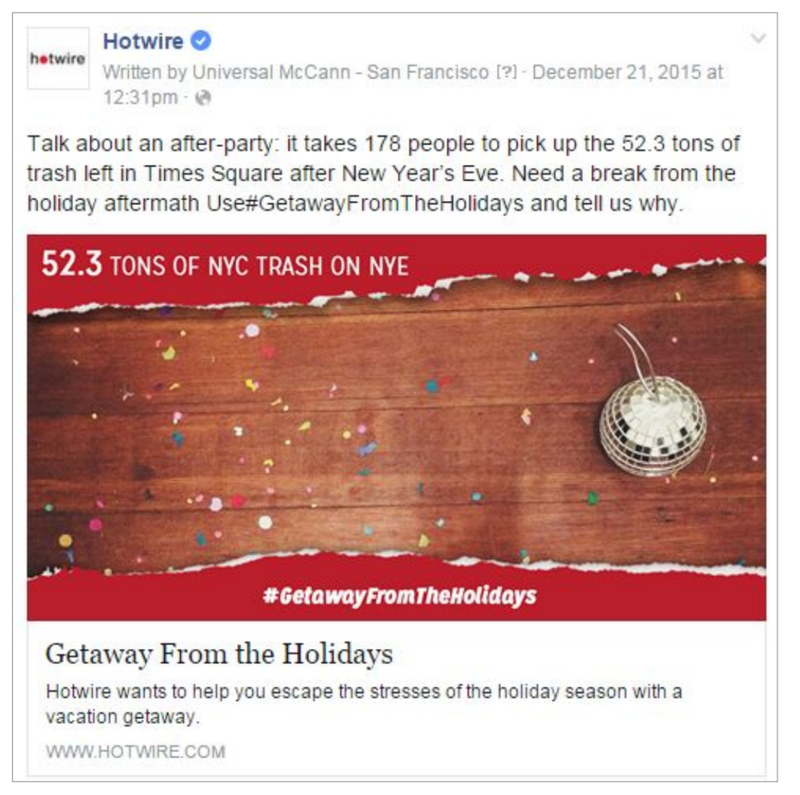 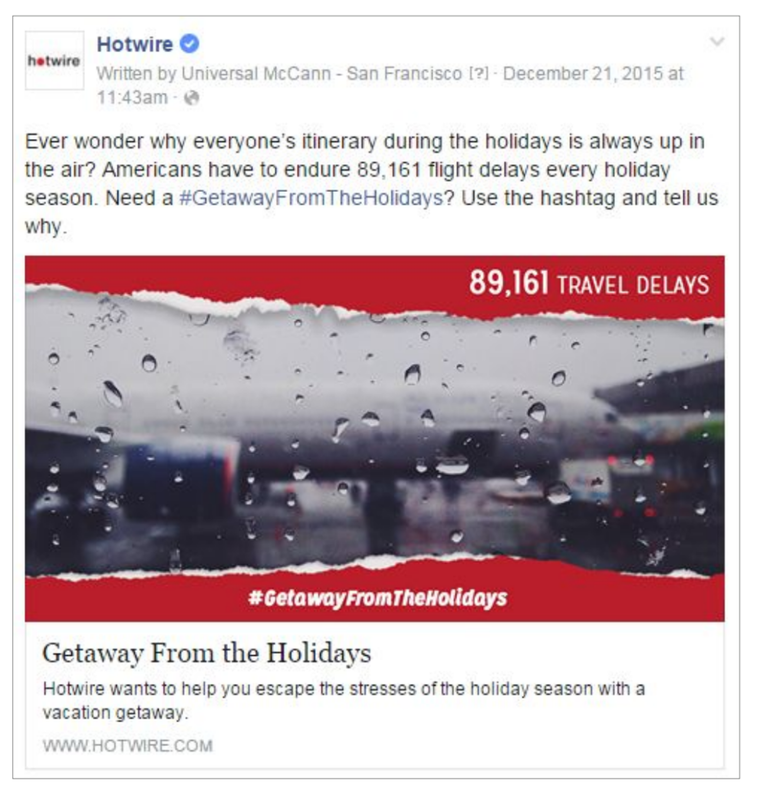 So Hotwire encouraged people to Getaway from the Holidays with a surprise and delight campaign that rewarded real people for their holiday stress, sending them on a curated vacation to counteract their holiday woes.